College Ranker ranked two Virginia towns on its list of 50 Best College Towns to Live in Forever.” Williamsburg VA was 43rd on a list and Charlottesville was #40. College Ranker’s list highlights 50 college towns around the US that can provide a permanent home for college students after they have completed their collegiate experience. Every city and town in America with a college or university was considered and weighed, and these 50 were chosen based on metrics and statistics involving strength of local schools, vibrancy of the local economy, and family friendliness. Mackenzi Flannery, the article’s author, had this to say: "Hundreds of cities and towns hope to retain their students after graduation and incorporate their newly acquired skills into the local economy. It’s a competitive environment for attracting college graduates, and these 50 college towns have well positioned themselves to retain their local college students for a lifetime." College towns like Williamsburg VA are great for more than just the time while you are in school. Many of them have a thriving economy and culture that make them perfect for a long-term commitment to the area. After you are done with your time on campus what factors become more important? Things like community, neighborhoods, schools, these important aspects become pivotal when choosing a place to reside. Seven most expensive states to live in….. According to the Wall Street Cheat Sheet you need to make $75k to live comfortably in most states. Other states take more. Do you live in an expensive state? How much does it cost to live, eat, and go out on the town in these higher priced locations? In some states, an annual salary higher than the national benchmark is needed to live comfortably. The list’s cost of living index data comes from the Missouri Economic Research and Information Center first-quarter report, and pricing data on the list come from Zillow and Numbeo.com among other sources. Research shows that a person lives longer and healthier by living at home. According to a poll conducted by AARP, about 75% of their membership hopes to stay in their home as they age. In a recent study conducted by Cornell University, an estimated 100,000 people living in nursing homes could be living at home if the right support systems were in place. Two years ago, Portsmouth resident Linda Darner started noticing that her husband, Leroy, had trouble remembering things. Then he started losing his balance and falling. Finally, he began imagining things – events that never happened. Leroy, Linda said, has dementia, compounded by brain injuries that he suffered as a college athlete more than 50 years ago. Now, although Leroy, 74, has good days as well as not-so-good days, he needs constant supervision – and it has started to take a toll on his wife. "It’s very hard seeing the person you love turn into someone you don’t know recognize," said Linda Darner, 72. Linda is adamant about not institutionalizing Leroy while she is still able to care for him. "I want to keep him at home as long as I can," she said. Last spring, on a social worker’s recommendation, the Darners reached out to Senior Services of Southeastern Virginia, a private nonprofit that provides support services to seniors so that they can remain in their own homes as an alternative to nursing home care. Linda needed someone to help Leroy dress and keep him company while he eats, watches TV and takes walks – someone to just spend time with Leroy to make sure he’s safe while Linda tends to their house and runs errands. Clearly there are some tangible benefits for home improvements as we age, including: preventing falls, enhancing safety, more comfort and convenience, peace of mind and significant cost savings over institutional care. Historic Triangle Senior Center whose mission is to to enrich the lives of older adults through intellectual stimulation, wellness programs, and social opportunities. An informative discussion on right-sizing your home, accessible bathrooms, doorway width, kitchen conveniences, safety modifications and outside accessibility to the home. Medical Home Outfitters is a new company in Williamsburg that provides home assessments, solutions and installation services, including: grab bars, door widening, ramps/lifts, barrier free showers, and design/construction for homes meeting ADA compliant space. Their web site is www.medicalhomeoutfitters.com . The Mr Williamsburg.com website was created by John Womeldorf a.k.a. 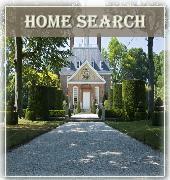 Mr Williamsburg as a resource for folks who are moving or retiring to Williamsburg, VA . Yorktown , New Kent and surrounding areas of Hampton Roads Virginia. You can search active adult communities, 55+ communities, as well as homes for sale with first floor master bedrooms, , one level homes and condos. or townhomes/ villas Mr Williamsburg knows the area and can guide you to the perfect home and community. Mr Williamsburg understands the special needs of Seniors who are downsizing, and can assist with auctions, estate sales, de-cluttering, staging and every phase of getting your home ready to sell. Where to Retire magazine, the only magazine in America geared toward helping people with retirement relocation decisions, has again selected Three Virginia college towns — Williamsburg, Charlottesville and Fredericksburg –to profile in its July/ August 2012 issue. Where to Retire editor Mary Lu Abbott said Williamsburg possesses many qualities important to today’s retirees. “Boomers gravitate toward college towns for many reasons – spectator sports, cultural events and continuing-education opportunities, to name a few. The college towns in Virginia, including Williamsburg, Charlottesville and Fredericksburg are some of the oldest in the country, and they have a celebrated place in American history. 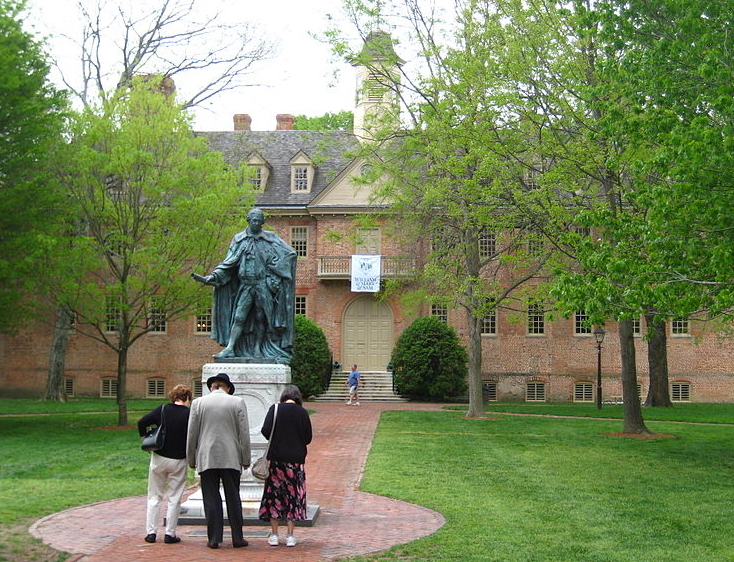 Colonial Williamsburg, the Christopher Wren Association at the College of William & Mary and nearby historic towns provide opportunities for lifelong learning, and when it’s time for a study break, retirees can escape to Virginia Beach, only an hour away. “Williamsburg residents get the best of two centuries. Retirees can enjoy the perks of modern-day America, complete with fine dining, art museums and theme parks, and in the same day have an 18th-century adventure in Colonial Williamsburg. Each year, 700,000 Americans relocate to new towns to retire. Generally, relocating retirees are healthier, better educated and more affluent than retirees who choose to not relocate; they bring significant economic benefits to their new states and hometowns. Nationally, two dozen states and hundreds of towns seek to attract retirees as a source of economic development. For various reasons, primarily the national economic slump, the project has not proceeded as quickly as the developer expected. According to the application submittals from the original rezoning request in 2006, the project was to be fully built out by 2011; to date, a total of 120 of the 459 approved units have been built. The developer hopes to improve the marketability of the project by adding townhouses and assisted living units to the list of permitted senior housing uses, which can only be done through an amendment to the original conditions of Planned Development approval.